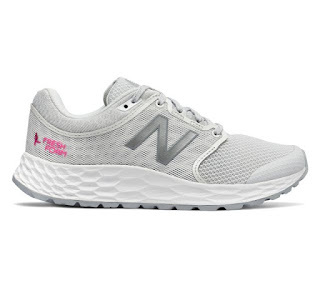 Today only, while supplies last, get a pair of these New Balance Women's Fresh Foam 1165 Walking Shoes for ONLY $41.99 Shipped (Retail $99.99)! Turn walking into a workout with the women's 1165 sneaker from New Balance. Featuring an ultra-plush Fresh Foam midsole, this fitness walking shoe offers premium cushioning to support your every step. The lightweight synthetic/mesh upper breathes easy and offers secure support without weighing you down. Plus, the streamlined silhouette features a metallic rose gold N logo for a modern take on classic branding.